Lat night at dinner, Mary Stec (Link to her cooking school Facebook Page) made an amazing pork roast with roasted potatoes and green beans. 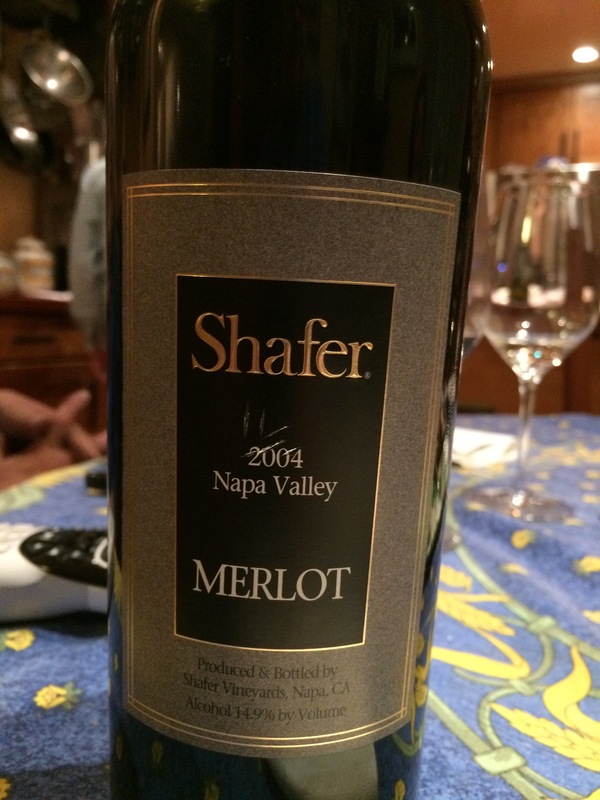 Dorianne and I took a bottle of 2004 Shaffer Napa Valley Merlot (Link) to have with the meal. The wine had a very refined nose – dark fruit and a touch of minerality. The flavor was well-crafted and smooth, with cherry, tobacco, and some earthiness on the edges. A very nice wine. This wine retails in the $50 range, so you would expect it to be good – it does not disappoint and I think that it can still age for a few more years and hold up. Before dinner, with some chevre and hummus, we had a 2009 Clos Pepe Chardonnay – Barrel Fermented (Link). Richard Clark and I had gotten a couple of half bottles on a trip to the Clos Pepe Estate a couple of years ago. The four of us shared the half bottle of this amazing wine – very, very nice, but it’s all gone! 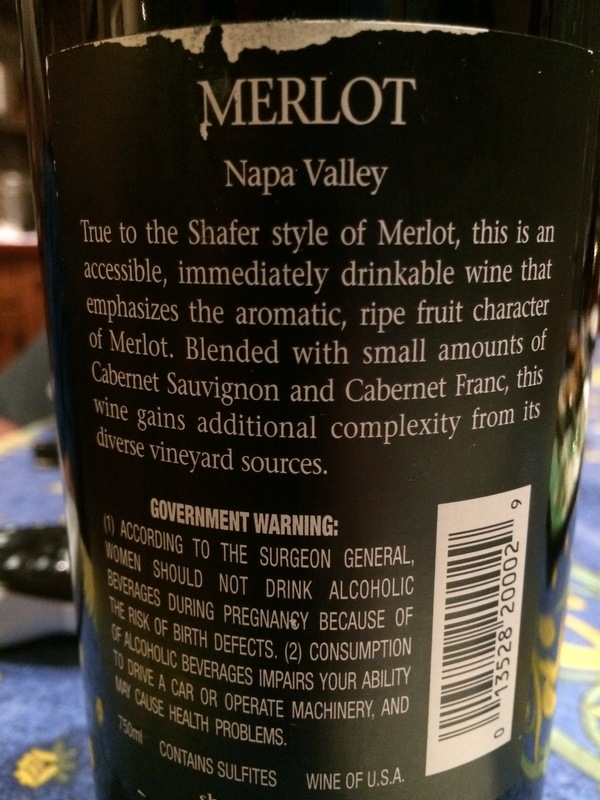 But back to the Shafer Merlot. The wine paired very well with the roasted pork, it had enough structure and tannin to hold up to the dish. I noted some heat, and guessed accurately that it had 14.9% alcohol – which is getting fairly normal for California Merlots. Here is the link to Shafer Wines – (Link).